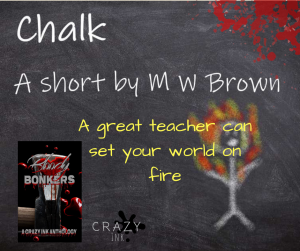 Bloody Bonkers – Out Now! 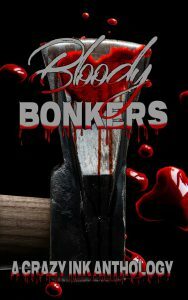 I’m so excited – Bloody Bonkers is out now on Amazon! I’ve read all the other stories in this great book and there are some insane chillers in here that will linger long after you’ve closed the book. Stories with varying degrees of criminal insanity and one common theme – exploring the crimes committed in the heat of passion. How far would you go with love on the line? Who and what would you kill for? What’s the difference between temporary and forever insanity? How far would you be willing to travel into madness for justice?